Developed with a high degree of technology standards. The SIGA GREEN Lawn Tractor battery is perfect for light duty, garden tractor, utility, snow blower and snowmobile applications. This Maintenance-free, calcium construction are designed with the vibration resistance to meet harsh operating conditions! The patented grid manufacturing technology produces grids engineered to be more efficient for optimal performance. 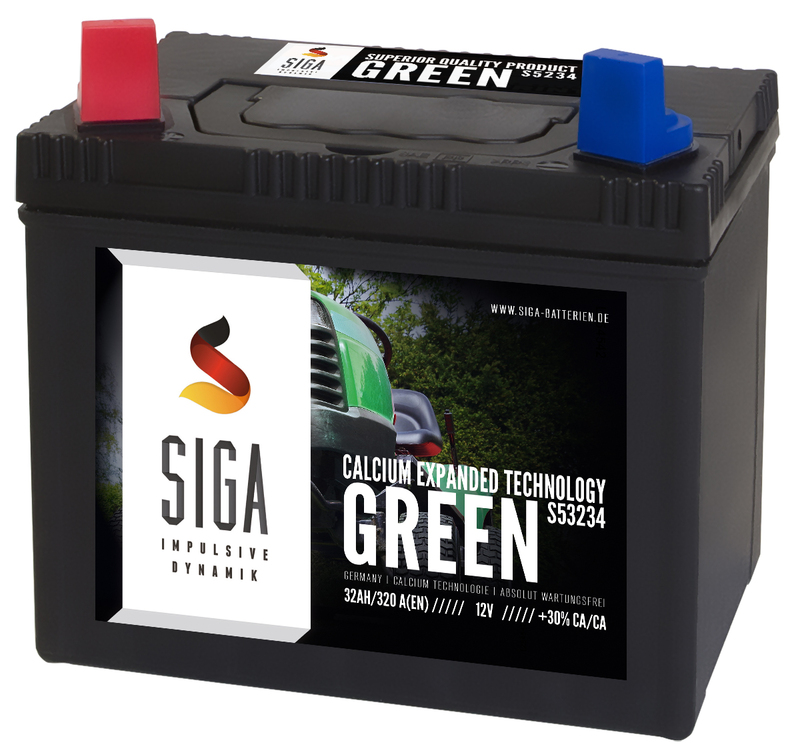 SIGA Green is one of the best starter battery which disposes of excellent cold start forces! ARE YOU INTERESTED? DEALER PRICING INFO! Request a custom quote! © 2016 SIGA Batterien // germany. All Rights Reserved.